Bedford and District Audio News committee members. Volunteers who run a talking newspaper group in Bedford are celebrating its 40th anniversary. Bedford and District Audio News (BDAN) was established in 1978 by Mr and Mrs Cyril Humphries who were inspired by a TV programme where Joan Bakewell was discussing talking newspaper groups. They advertised a meeting and were astounded at the response as around 100 people attended. Those who stayed generously put £5 each into the kitty to purchase tapes. 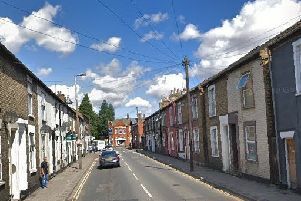 A spokesman for the group said: “Each week the majority of households in Bedfordshire receive a copy of one or more local newspapers where we can read about births, marriages and deaths, local sporting events, visits of dignitaries to the county, proceedings at various magistrates courts and all manner of news items of interest to Bedfordians. Talking Newspapers started nationally around 50 years or so ago and there are now 500 groups throughout the country all affiliated to the Talking Newspaper Federation (TNF) which is an umbrella organisation providing information, guidance and help to local talking newspapers.